At the house of Maison Dog, we create exclusively designed, comfortable, eye-catching beds for pets. Our beds are designed and made in Australia for the fastidious pet lover and are the best available in Australia. The ultimate pet experience! Please take the opportunity to view our range of beds and furs which best suit your pet's needs. We're passionate about our designs and products, all constructed with loving care and attention for premier pet comfort and long lasting qualitystyle and warmth. How much do you love your pet? Hello, I am Denny Hill, founder of Maison Dog. I started my career in the early 70’s as a fashion designer with Prue Acton, from there I worked for number of fashion houses learning all aspects of the 'rag trade'. In the late 80’s I started my own fashion house focussing on resort wear and comfortable clothing into the year 2000. Not happy the way the fashion industry was going and wanting a career change, I turned my experience to my ‘big love’, horses and dogs . 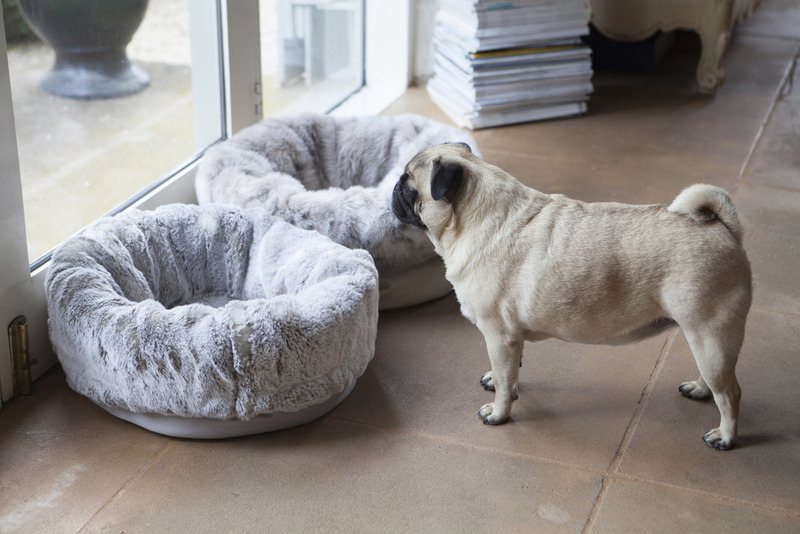 Owning large dogs it was always difficult to get a quality bed that looked good in the home while giving the dogs support and comfort - so Maison Dog was born. Realising that I needed to offer bedding for all breeds I designed the ‘Pod’. The animals must love them. Many of my competitors products are made in large quantities in China. All Maison Dog products are 100% proudly Australian made with the finest materials. Only the best for your best friend! Maison Dog products are sold all over the world - we even have some very happy celebrity customers. Maison Dog is the creation of a passion that I never get tired of. As my mother says - for every sale there is a content dog or cat with a loving and caring owner. Thank you for taking the time to read this and I hope you love your Maison Dog product.